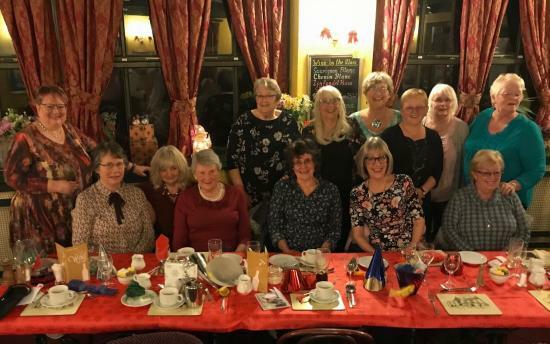 We are a small, friendly group of woman proud to be part of such a warm and welcoming community. Indeed, our membership, with its wide and varied range of interests, reflects the richness of life in our village. The Llangynog W.I. has played an important part in our village since 1938... 80 years of continued commitment to the community! Today, the W.I. still regularly supports and takes part in village activities and events. At our monthly meetings, we enjoy a varied programme of speakers and activities. Also, we visit places of interest and take part Federation and craft events, as well as enjoying meals out at pubs and restaurants.